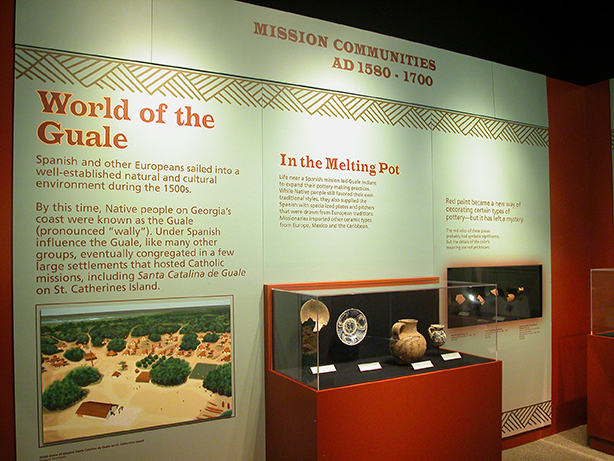 Using pottery as a lens, Conveyed in Clay: Stories from St. Catherines Island explores 5000 years of human history, from the oldest pots discovered in North America to the introduction of Spanish majolica in the mission era. 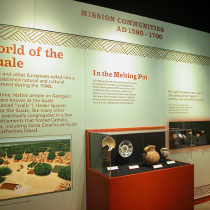 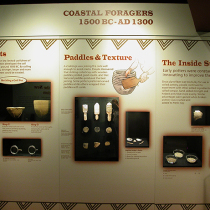 Featuring a selection of objects from the collection of the St. Catherine’s Island Foundation and Edward John Noble Foundation, this permanent exhibition examines the evolution of Native American pottery to discover how people adapted to changes in natural and cultural conditions. 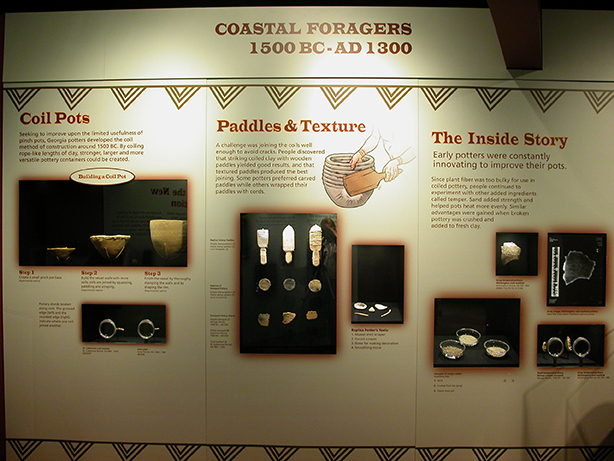 From the invention of simple pinch pots to the progressive engineering of more advanced coil pots, visitors explore the innovative designs and the introduction of decorative embellishment as cultures interacted.